My Life Changed ::: The story of a widow. 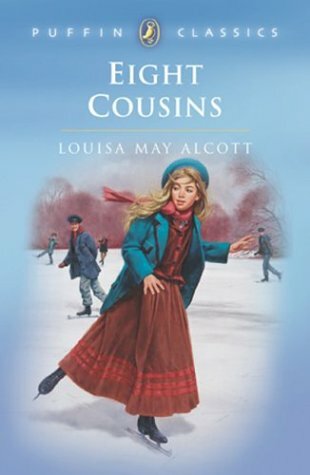 Eight Cousins, written by Louisa M. Alcott, is one of my favorite stories. There are 24 chapters, each several pages long. Its style is enjoyable for the teenager. A young person under the age of 12 might find it a challenge because, I’ll admit, it’s not one of those attractive, easy-read stories that capture your attention entirely by the fifth line. Mom is now reading it aloud to Grace (age10) and she is thoroughly enjoying it. It is written from a girl’s perspective. Rose, the main character, is about 13 when the story begins. We first meet Rose preparing herself for a good cry. You see, after her father’s death, she was left to the care of her great aunts. Her unusual bringing up left her feeling lost and out of place at her Aunts’ house. And though the Aunts mean well, as we see, “the good ladies had each put in her oar and tried to paddle her own way, to the great disturbance of the waters and the entire bewilderment of poor Rose.” Rose bore it as well as she could for she hated to offend her Aunts. But her health was failing and the Aunts began to look forward to when Rose’s guardian and Uncle, Dr. Alec, would arrive home. Rose’s life begins to be turned head over heels when she meets her merry cousins. At first she is terrified to find herself the only girl of eight cousins, but her jovial cousins gradually pull her out of her corner and she in turn learns to help them. Life for Rose takes a happy turn by chapter 4 as Uncle Alec prescribes all sorts of new “remedies” for his “patient”. Gradually, Rose learns to trust her Uncle and appreciate his love and concern. Rose is an example of faithfulness and loyalty. And best of all, by being honest with her self and family, she finds a home. You’ll so enjoy following Rose and her cousins through this story as Rose’s delightful Uncle, her good friend Phebe, and all of her Aunts help make this story an enjoyable tale. 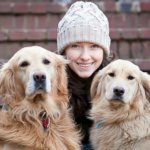 Full of fun and passion, Emily invests her energy in her cleaning business (where she has learned so many of the great tips!) and in helping her family’s business. It was in her teen years that Emily surrendered her life to Christ, and she faithfully serves at Lehigh Valley Baptist Church. In her spare time, she enjoys spending time with her family, writing, gardening, and kayaking.